Here are a bunch of free plans and building guides, from all over the Internet, to help you build your own garden arbor, trellis or small pergola. 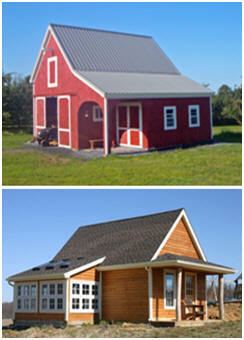 Build an Elegant Arbor These free, instant download, do-it-yourself project plans from Georgia-Pacific include detailed drawings, material lists, safety advice and how-to hints. 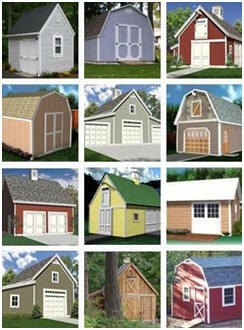 Pergola/Trellis WayneOfTheWoods.com offers woodworking tools, hardware and great how-to-advice. Their free do-it-yourself woodwork project plans include some simple, do-it-yourself outdoor projects like a pergola-style trellis. Building a Swing Arbor Build your own backyard swing arbor with these plans, details and building guides from Extreme How-To Magazine. Build a Copper Trellis for Your Garden Use ordinary copper pipe and tubing to create this backyard accent. - The Family Handyman Magazine. Walk-thru Trellis and Screen Wall Use these online plans, materials list and instructions from BuildEazy.com to build your own high trellis with lattice screen. 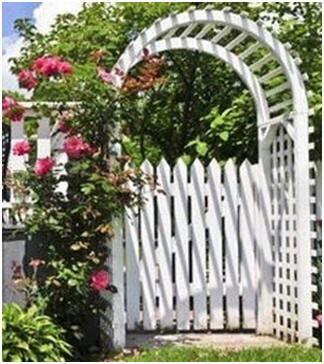 Fifteen Ways to Build a Trellis Tipnut.com searched the internet to find a variety of trellis designs and do it yourself plans and guides that you can use for free.